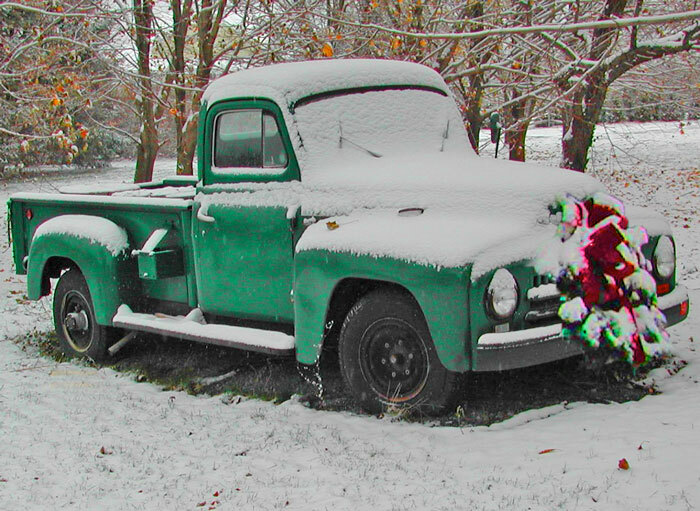 Nothing can be more heart-warming than a weekend stay on the North Fork during the holiday season. The down-home country charm is woven in to every holiday event and is guaranteed to get you into the Christmas spirit. In addition to these festive and charming happenings, every member North Fork Bed and Breakfast Association B&B is decked out for the holidays and your host can guide you the best places to eat and let you know about many more events. Plus there is great holiday shopping at all the quaint small town boutiques, or at the Tanger Outlets on your way out or home. Listed here are just a few holiday happenings to entice you. Eat, Drink and Be Sparkling -Sparkling Pointe in Southold is hosting a weekly holiday food and wine pairing series this season. On Saturdays from Nov. 14 through Dec. 19, take a break from your holiday shopping with decadent treats served alongside a glass of bubbly. For the full listings, prices and reservations, visit SparklingPointe.com. Holidays at Hallockville -Hallock Museum Farm is hosting a three-day Country Parlor Holiday Folk Art and Gift Show. Shop a selection of seasonal and home decor from the finest local artists and craftspeople, including handmade folk art, baskets, ornaments, dolls, tree trimmings, soaps, preserves and jams, gift baskets, hand-woven scarves, woodcarvings, decoys and more. Admission is free. The event runs Friday, Nov. 27 from 9 a.m. to 3 p.m.; Saturday, Nov. 28 9 a.m. to 3 p.m.; and Sunday, Nov. 29 from 10 a.m. to 2 p.m. Hallockville Museum Farm is located at 6038 Sound Avenue in Riverhead. Visit hallockville.com for more info. Shellabration -This walking tour, which offers inexpensive tastes of North Fork shellfish dishes and Long Island wine, is one of our favorite events of the year. A $15 wristband nets you $5 small plates and $3 pours at participating Greenport restaurants. You also receive a pint of Greenport Harbor Brewing Co.’s Harbor Ale and a raw bar plate when you pick up your wristband. The event runs Saturday, Dec. 5 and Sunday Dec. 6 from noon to 4 p.m. Visit shellabration.li for more info. Cutchogue Holiday House Tour- This self-guided tour includes festive Cutchogue B&Bs and a stop at Castello di Borghese and 8 Hands Farm. Each location pairs with a local winery, restaurant or business to offer wine tastings, hors d’oeuvres and desserts for guests.The event ends at the Cutchogue-New Suffolk Historical Society with Christmas carols, lighting of the tree and refreshments. Tickets are $75 and the tour runs from noon to 4 p.m. Call 631-735-9024 to order or visit sanninovineyard.com. Proceeds will benefit the Cutchogue-New Suffolk Historical Council. Orient House Tour -Visit old and new homes in Orient decorated for the season during the annual Oysterponds Historical Society Holiday House Tour on Saturday, Dec. 12 from noon to 4 p.m. Tickets are $25 for historical society members and $30 for the general public, and can be purchased the day of the event at the Orient Congregational Church starting at 11:30 a.m. For event information call 631-323-2480. Christmas in Cutchogue-There will be a magic show at the Cutchogue Firehouse followed by Santa’s arrival by helicopter. Visit with Santa at Cutchogue-New Suffolk Library for photos; children will receive small gifts. The event, which takes place at 9:30 a.m. on Saturday, Dec. 12, is sponsored by the North Fork Chamber of Commerce. Visit northforkchamber.org for more info. Bolshoi Ballet of Moscow -Peconic Landing Community Center will screen the Bolshoi Ballet performance of “Jewels,” shown live in HD on Sunday, Dec. 20 at 3 p.m. This opulent triptych was inspired by Balanchine’s visit to the famous jeweler Van Cleef & Arpels on New York’s Fifth Avenue and celebrates the cities and dance schools of Paris, New York and St. Petersburg that had forged his style. Admission is $20. RSVP to www.peconiclanding.ticketleap.com. Peconic Landing Community Center is located at 1500 Brecknock Road, Greenport. This entry was posted in Holidays, Special Events. Bookmark the permalink.